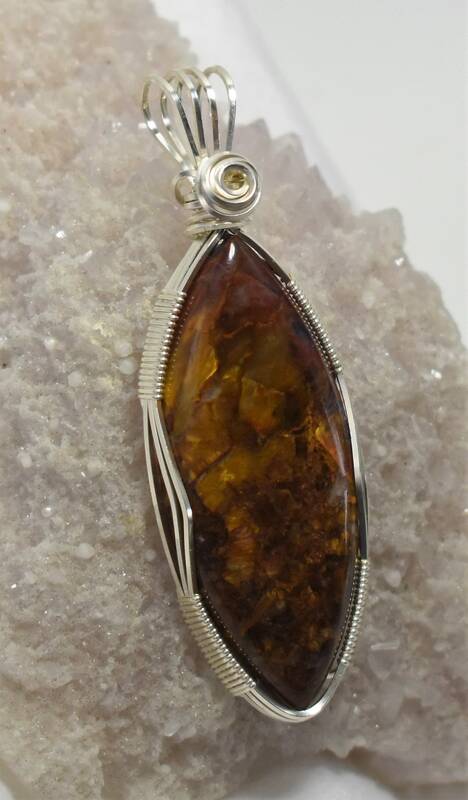 When I bought the slab this cabochon came from, I wasn't sure what to expect. 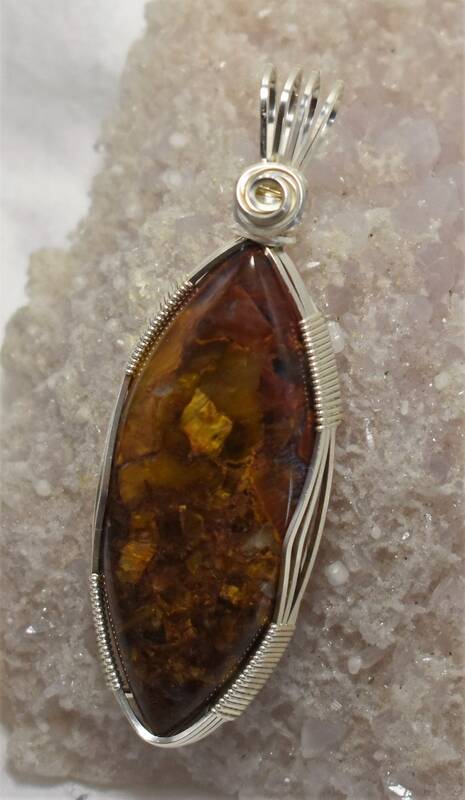 Although I've worked with Pietersite, I had never worked with Chinese Pietersite before and I am very pleasantly surprised :-) It is extremely chatoyant and a beautiful shade of gold with some red swirled in; gorgeous! 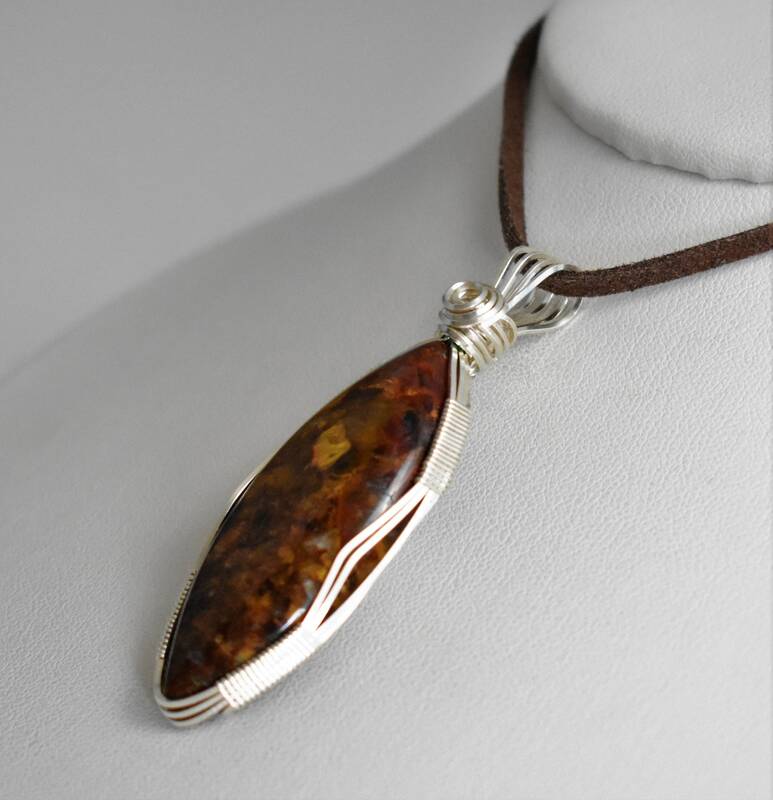 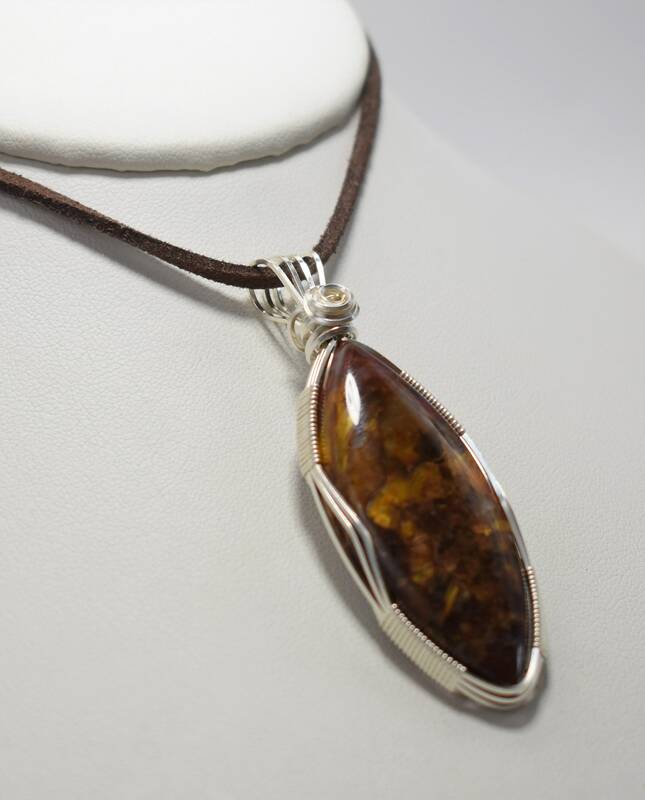 I wrapped it in .925 Sterling Silver wire and paired it with a brown suede cord. 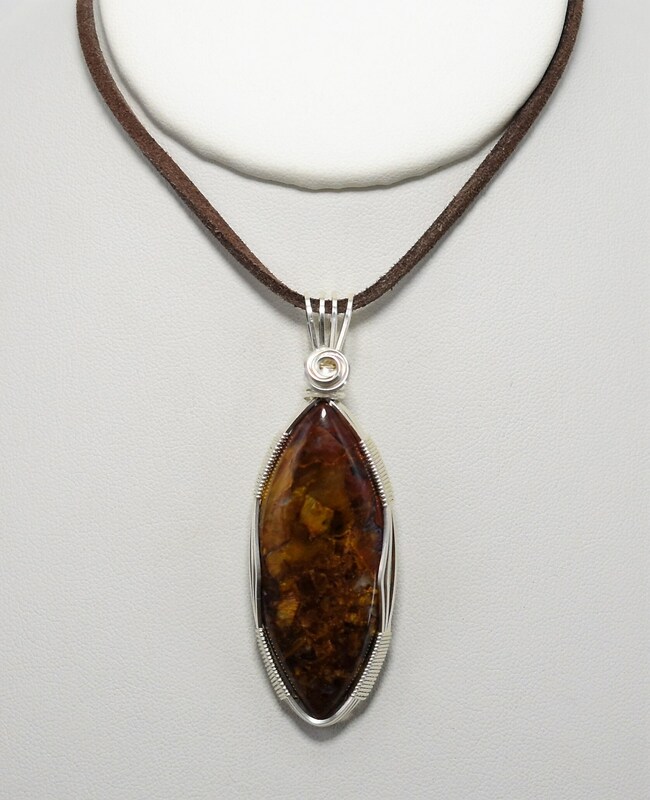 Metaphysically, Pietersite (also known as the Tempest Stone) brings cleansing energy to aid you to create change. 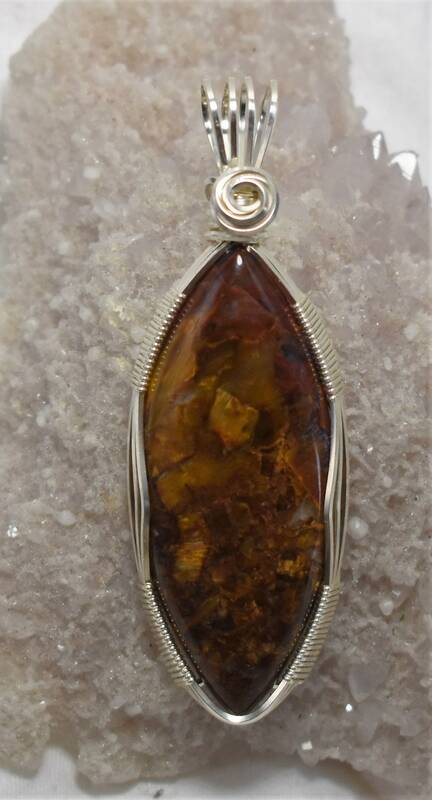 This is a crystal that is very stimulating to your energy field, and helps you to let go of unwanted habits and negative ways of living your life. 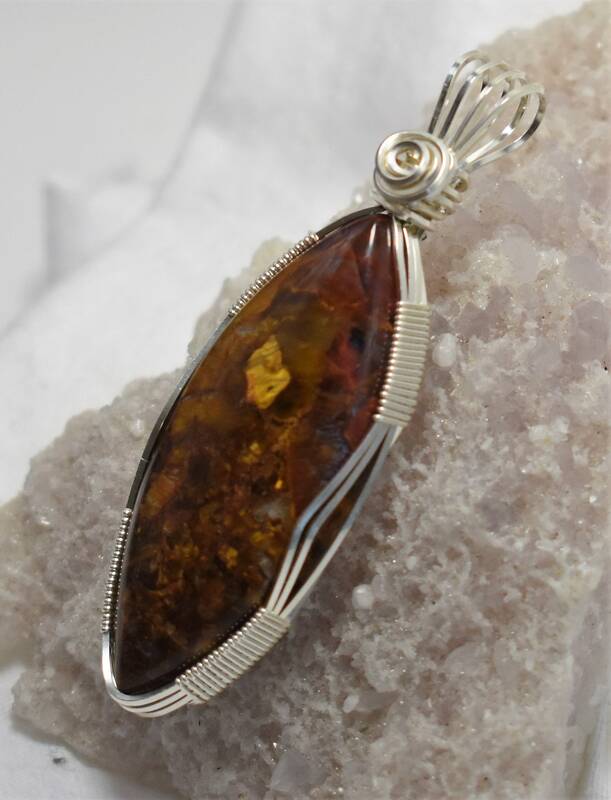 It has a strong vibration that makes an energetic connection to your deeper spiritual inner self.